The Property Price Register was up and running a month last week so here at MyHome.ie we decided to take a brief look at it to see what it was telling us about the market. During the month of October 1,152 new transactions were made. That was down on the same month a year earlier when 1,528 transactions were made. Likewise, the number of transactions was down on the figures for October 2010 when 1,816 homes were sold around the country. That means transactions in October dropped by 24.6% from a year previously and 36.6% from October 2010. The average price paid for a home during October was €181,295 – down from €214,868 a year earlier and €241,035 in the same month of 2010. The good news for the market is that with 16,803 transactions so far this year to date, there is every chance that the number of sold properties could equal or surpass last year’s total of 18,058 house sales. During the month the largest transaction was €1.82m for St John’s, 48 Glasthule Road, Sandycove, Co Dublin. It was one of six transactions during the period which broke the €1m mark with the second most expensive being the €1,554,300 paid for a development in Waterford – comprising eight units at Parade Quay, two at Bailey’s New Street and one at The Mall. Close behind was the €1.52m paid for Gurthalougha House in Ballinderry, Nenagh, Co Tipperary. In Kerry, €1.25m was paid for a house at Stoneacre, Killaha in Kenmare while the fifth most expensive house was the €1.09m paid for 2 Castle Avenue, on the Upper Churchtown Road in Dublin 14. It’s sale comes a year on from the sale of number 1 Castle Avenue for €1,155,000 on September 1st 2011. Number five in the exclusive development has also just gone sale agreed with the Rathfarnham based Macarthy Auctioneers and Estate Agents. It had an asking price of €995,000. The final property to sell for a seven figure sum was 88 Haddington Road in Ballsbridge, Dublin 4, which sold for just €50,000 less than its €1,050,000 asking price. Another notable transaction during the period was the sale of 40 Alma Road in Monkstown for €942,000. Its sale comes just 10 months on from the sale of neighbouring 41 Alma Road for €1.58m last December. The cheapest transactions during the first month of the property price register was the €10,000 paid for four separate sites or properties in Louth, Cavan, Leitrim and Donegal. The highest number of properties sold in any county during the month was in Dublin (402), which also had the highest average transaction price at €257,776. The smallest number of transactions was the six that took place in Monaghan, while Leitrim had the smallest average transaction at €72,267. While question marks have regularly been placed over the years about the validity of average asking price indices such as the MyHome Barometer, the average price works out roughly near to where most market experts expect them to be. Obviously with such a small sample some counties, such as Tipperary in this case, will have their average price inflated by the sale of a property worth €1.52m. Equally, on a month to month basis other counties will have their average price decreased if there is a large number of land or site sales, which would traditionally be much less than the price of a property. Below we have broken down the average price for the month in each county. Let us know whether you think it is a fair assessment of where the market is at present in your area. 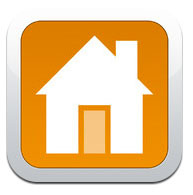 To keep an eye on transactions on the price register download the MyHome.ie iPad or iPhone app from here. Please note further transactions may have taken place in October but might not yet have been registered. Figures correct at the time of writing. The Register is useful but unfortunately not everyone seems to be able analyse it to best advantage. There are certain parts of south county Dublin where young and inexperienced first-time buyers are engaging in a bidding wars with other first time buyers. I feel sorry for them as they seem somehow to have more money than sense. All they are succeeding in doing is pushing up prices which will eventually hurt themselves as they will be the ones paying even higher property tax in the end and quite possibly end up in negative equity themselves when things settle down. A lack of supply is also fueling this sad situation. I agree with Brendan O’Connor’s article and in my opinion they will live to regret their rash actions in the end, just as many 40 somethings already do. I thought the next generation were smarter than this….sadly not…seem doomed to learn nothing and repeat the mistakes of the past…. Nobody called it the fault of myhome, that the Register is not immediately updated. The fault is to fail to notice that this is the fact of the matter, a fact so obvious to some of us. As to comparing a particular class of property there is nobody better placed than myhome, to achieve as much, replete with records of houses advertised, complete with details, numbers of rooms, derelict condition or whatever else you may wish to know. I kept my own notes of what was “sale agreed” during the past year, in order to compare the sold price when this eventually appeared, as did others who have since seen fit to comment online. What they therefore notice is a distinct difference, property sold for less than the asking price, not more. This, I grant, is troublesome; it is not so easy to absolutely identify every address but I manage to achieve a result, none the less. What should not be so hard is to assimilate the information provided with the Register to explain where the data came from, why it may not be up to date. No wonder the Irish economy is down the drain, with fools like this on the loose. Gentlemen All, No idiots, not now , not anymore”’ ???. Yes we have all learned a little bit about real estate, and all the ramifications associated with this sleazy market. The only true picture emerging from your report is that the big fish continue to swim in very clear water,whilst the rest are stuck in the desert, where the mirage is as good as it gets. One day, not just yet, when all the best deals are done, and anything worthwhile is all wrapped up,things will open up and we will be allowed a few crumbs from the table. Until then lets just continue to observe this insatiable greed. It proves that properties have Sold considerably less than posted asking prices and that prices continue to decline and will continue to do so well into 2013 and perhaps way beyond thereby negating any benefit 1st time buyers might achieve through the much talked about mortgage interest relief. I think it is a little harsh to be calling someone an idiot. I have no association with my home but it is hardly their fault if the register has not been properly updated with all the transactions for the month. It does say at the bottom of the article that not all info may yet be made available (that is a solicitors/Revenue problem) but that it was correct at the time of going to press. Also your comment that you want to see a particular class and quality of the properties is not possible because key distinguishing factors such as number of rooms in a house are not available on the register, again not MyHome’s fault. To respond to Damien, if the upshot of the situation is that an agent failed to convey an offer to the vendor who was subsequently persuaded to settle for less, this is not just annoying, it is tantamount to conspiracy to defraud. The agents’ own agreed code of conduct requires that all offers are recorded, written down and conveyed to the vendor, so if you wish to press for further investigation this should be possible. The author of the article is obviously an idiot, correctly rebuked by Cormac O’Carroll. The assumption that transactions in October dropped by 24.6% ignores the fact that a lot of sales are yet to be reported to the register. It is also ignorant to fail to take account of the quality factor with regard to an average price. In order to approach a useful conclusion the need is to distinguish a particular class and quality of property, not just an average price that is more of a measure the money available to spend. I think that one probable explaination for Damien’s experience is that as most of the house purchases are cash purchases,it is not beyond the bounds of possibility that the price is being understated in order to save on stamp duty or to “hide” some black economy money.Perish the thought! The register certainly is interesting. I’ve looked at so many properties but found I couldn’t afford to buy. Then I look at the register and discover that many of them sold for far less than the estate suggested to me when I was a prospective buyer. It is very annoying to be told your offer was rejected by the seller only to find it on the register having sold for much less. I’m left wondering if the register is full of mistakes or if I was being lied to. Has anyone else had the same experience? There were 1152 transactions in Oct , registered to date. This may increase as solicitors fill out their returns. ( I bought on 19th Oct and transaction not yet included.)) So real level of transactions may be higher than your report suggests.